1) We started with a large/long piece of white construction paper. I also had a smaller size piece of red construction paper. I folded the red construction paper into a ‘fan’ – with the folds about the size of my thumb. I then asked the children to cut along the folded lines of the paper. 2) Next, we glued down the red pieces onto the white construction paper -making red and white stripes. 3) The next thing I did was a cut a slit about one inch from the bottom of the hat on each side of the paper. I cut a slit about one inch long. I next folded the sides of the top hat to create an easy line on which the children could cut. 4) My hat was finished! I then wrote a word ladder on the hat to help my beginning reader practice her phonics for the day. Here are some pictures of the children making their hats. My girls decided to make a rainbow hat. My second grader decided she wanted to make a very tall top hat – so, she added extra colors to the top of hers. I helped my preschooler make the hat. He cut out green strips of paper for me, and then glued them onto the back of my red hat I had created. After we had made all our hats, each of the children had different skills they were needing to practice. For my Kindergartner – she is on Day 70 of the Sight and Sound Reading Program. I chose a few sight words from around Day 70 to help her practice reading those words. For my second grader, I dictated spelling words to her and she wrote them on her hat. For my preschooler, I wrote his name at the bottom of the hat and he practiced writing his name all the way up the hat. He had to pay special attention that he started his name with a capital letter and wrote the rest of it in lower case letters! Another way in which you could modify this activity is to write just letters on the hat and practice the sounds of the letters. 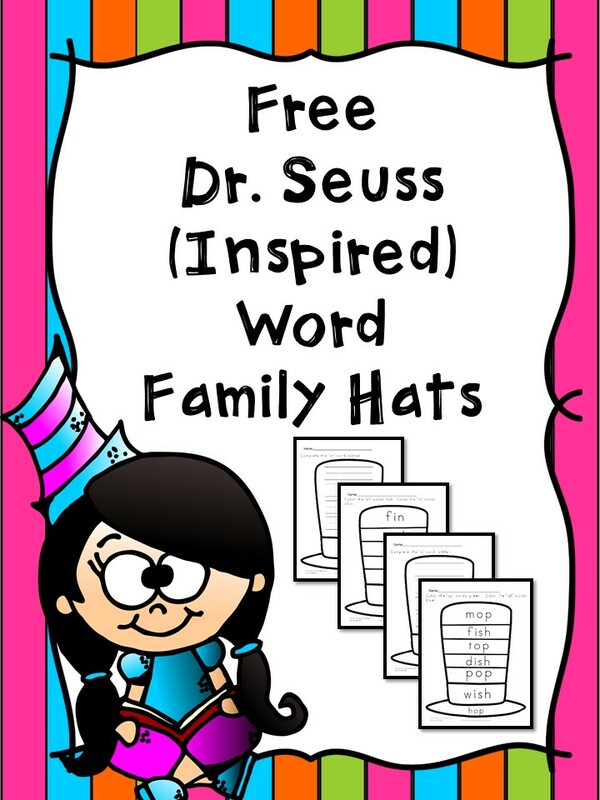 You can also write word families/word ladders on your hats! Anyway – here are some pictures of my children making their hats! They turned out great, we had a great time… and, we all learned a few things along the way. Cutting the strips of paper. Gluing the strips of paper onto the white paper. Writing their spelling words, or writing their name. Ta-da! Our completed Cat in the Hat learning hats! Do you have any suggestions to modify this activity for other levels and abilities. Those are so cute. I love how you combined the fun project with learning. Thank you again! I LOVE this idea! 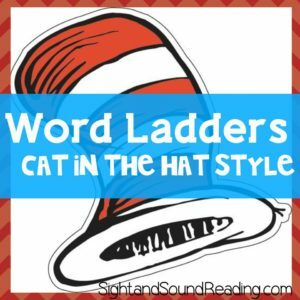 I love Dr Seuss and this is such a fun idea. I think it’s important to keep the learning going all year and this is a perfect summer time activity. Such a fun and wonderful idea! What a fun idea! I love that they have not only participated in learning, but have a cute product at the end of it! I am a sucker for kid artwork. Cute idea! My oldest is struggling/fighting learning to read. Dr Seuss is her favorite to read right now, we have a number of them borrowed from the library right now with more on the way!